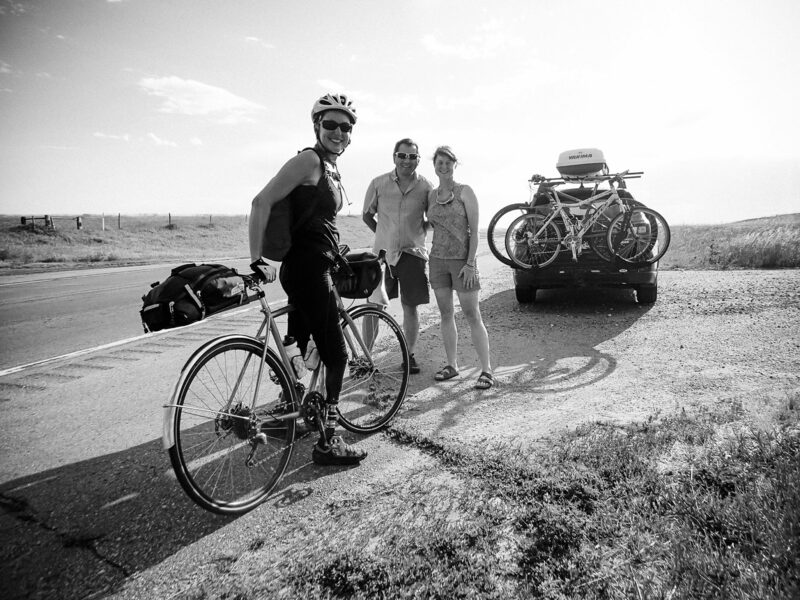 We were cycling toward Chadron at around seven in the evening, as a car passed us. It had two bikes on it, which wasn’t all that odd, but enough for us to notice it. The bikes looked like nice bikes, too. A quarter of a a mile later the car pulled over and stopped, and the two passengers exited. Which was a bit out of the ordinary, but not unheard of. 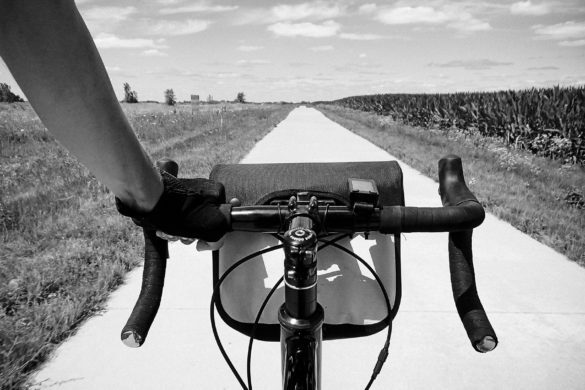 Many people who are cyclists themselves routinely ask us if we need anything, or just want to hear about our journey. They waved at us happily, and we stopped to chat with the couple. 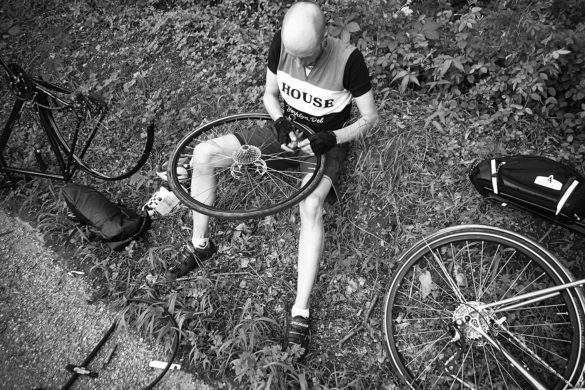 This is when the likelihood of the event took a turn toward the highly unlikely category: The couple had been riding on the Great Allegheny Passage Trail in Pennsylvania at the same time as we did, and had even spoken a few words to us somewhere near Ohiopyle. That is about a 1500 miles from where we now stood. The couple, Chris and Tom (I hope I remember their names correctly!) 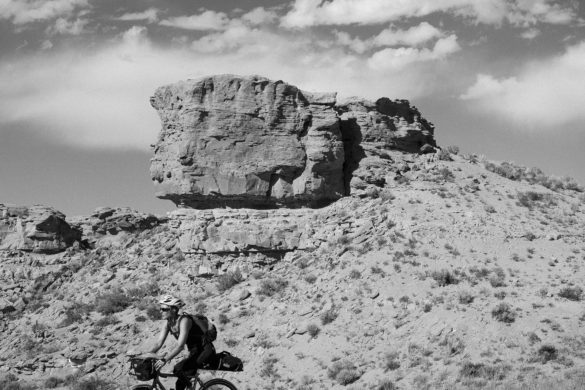 had since loaded their bikes onto their car and gone cycling on a trail in South Dakota. And were now on their way home to Pittsburgh. Then they had seen our setup, which is pretty recognizable, what with the Trailer Bob, the Finnish flag, and of course Kaisa’s unique feet!